The inspiration for our play is based on the historical situation around 1737, the harsh journey of exiles from Moravia and Bohemia to Berlin – Rixdorf in search of basic freedom to live, to work and to practice their faith. The historical story has transformed itself into an emotional performance of escape. While everything is calming and harmonizing, it is disturbed by dramatic situations from the outside - fire, social oppression, or personal conflict in a relationship. Nonverbal images are invoked by your associations, and we do not tell anyone what to think. The "translation" rises out of your consciousness, and you know what it is about. Theatre has the potential to awaken and communicate within our own consciousness, where simple words may fail. Let us tap into our shared memory. We, the Czechs, have also been leaving under persecutions and building our homes somewhere else. And we needed help. That is what this story is about. Playful, abstract, thoughtful and humorous. Wherever we go, people have been living there, wherever we go, there are rules that have been set down, houses that have been built, land that has been parcelled out, the space is marked out by states borders. To somewhere else is an adventure of when we leave because freedom has been lost but there is still strong hope that a place and space can be found that may become our home again. When working on our play we try to make the starting point our own life experience, situation, or emotions that have left a trace, and pass them on. We have chosen a form that is typical for our work – a visual message of emotions with live music: A human can discern things before learning to speak. Only then he learns to name them. We use associations. Watching is an act of choice. We never see only a single thing, we always see the relationship between things and us. Our perspective is continuous. The way we see things is influenced by what we know and believe. Our visual theater is not bringing words, everything emerges from the viewer’s imagination and experience and conveys to him his own associations. 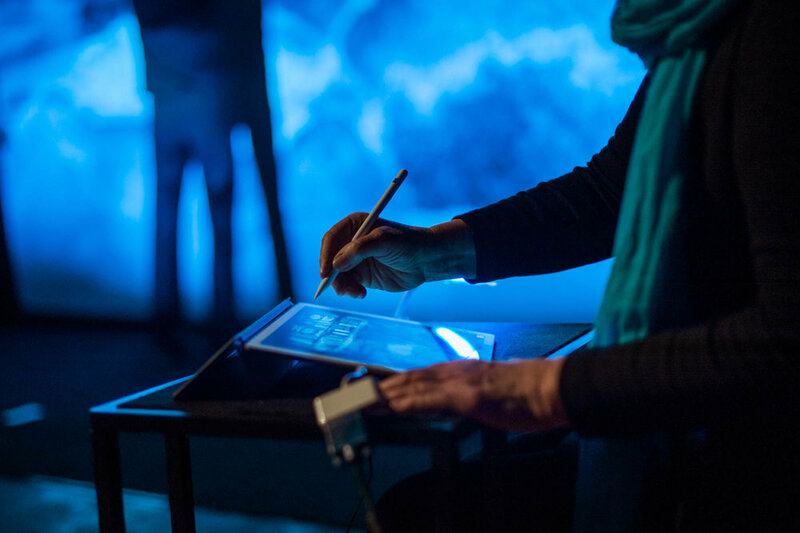 Drawing in Motion is a crossroad of several artistic forms: acting, masquerade, puppets, movement and music meeting an utterly contemporary digital tool on the stage – a live drawing on iPad. 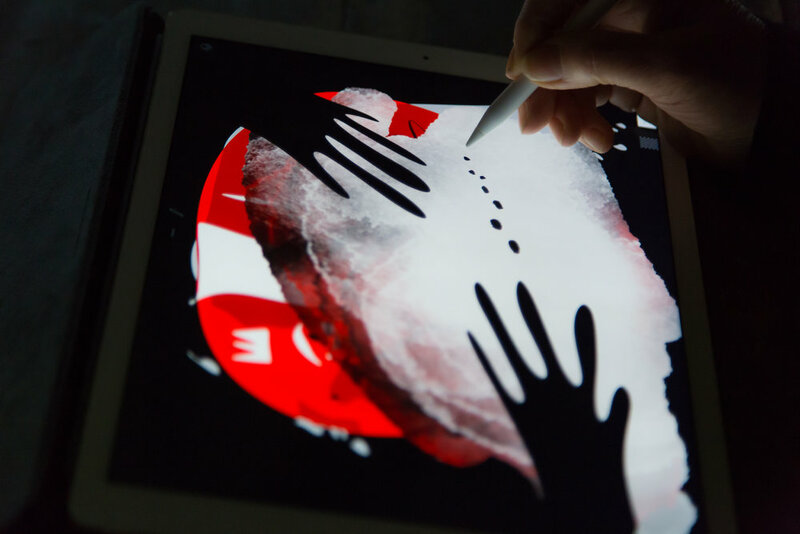 What we see is a projection of live drawing in Paper by FiftyThree on iPad being performed in real time directly on scene. It is not an animation! 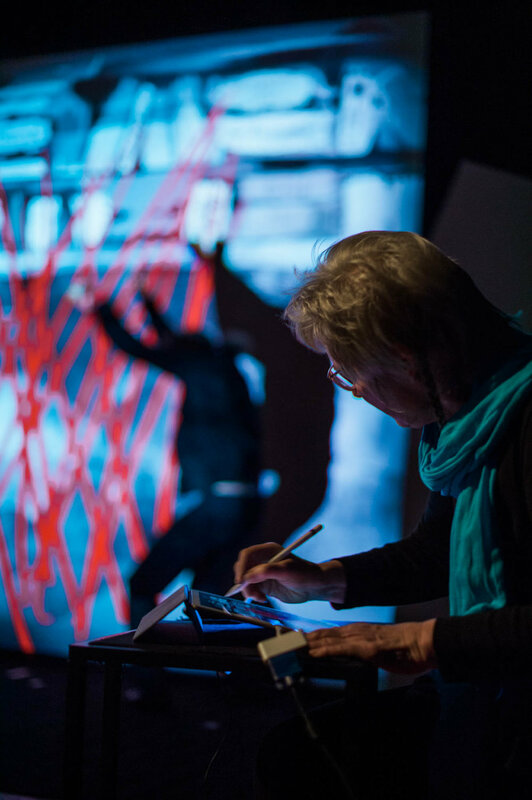 In addition, an actor fleshes out the drawings with motion sliding into dance, or creating a situation and holding a conversation with the drawing. Live drawing show for children from 4 years of age about animals and an egg. 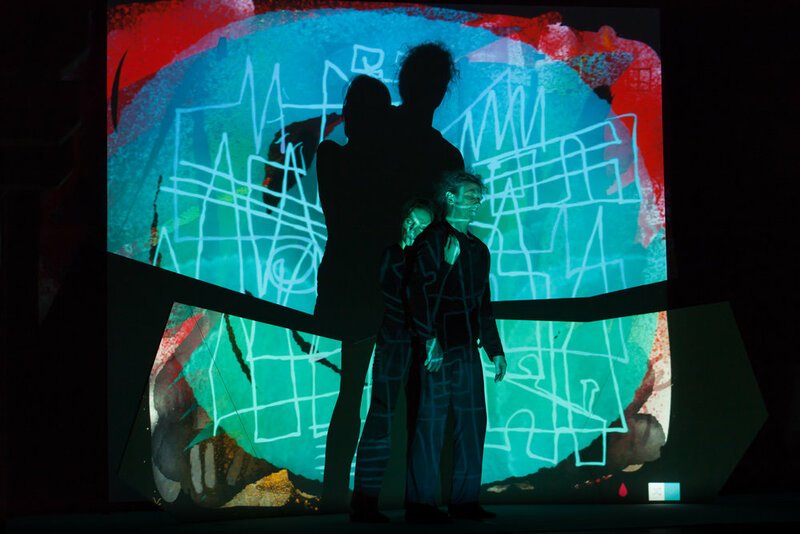 We tell, we play with shadow puppets casting shadows over projected drawing and present visual riddles. The simple drawing is accompanied by music. Imagination, playfulness and creativity is being developed. The touchscreen iPad can be a toy from the youngest age and becomes an excellent educational tool while using playful methods. Why not to encounter it also in the theater. 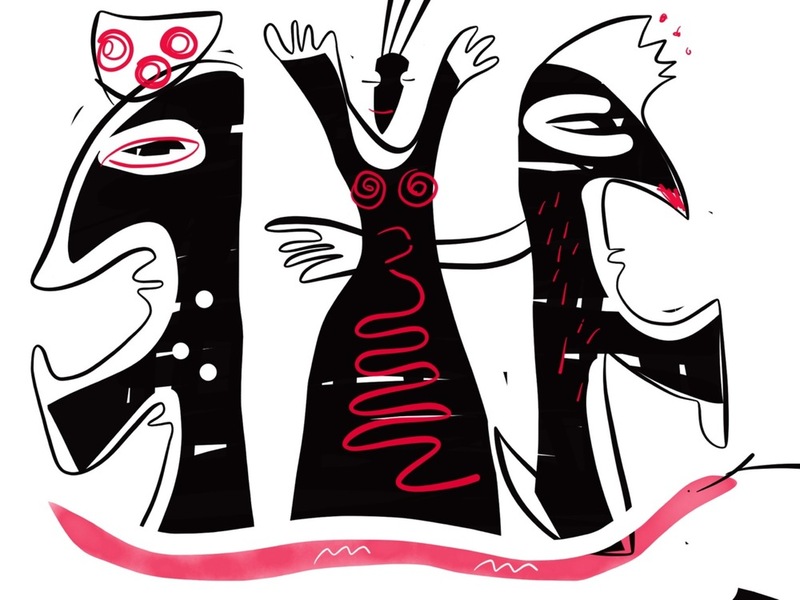 Drawing communicating with the story in motion may seem as digital magic.